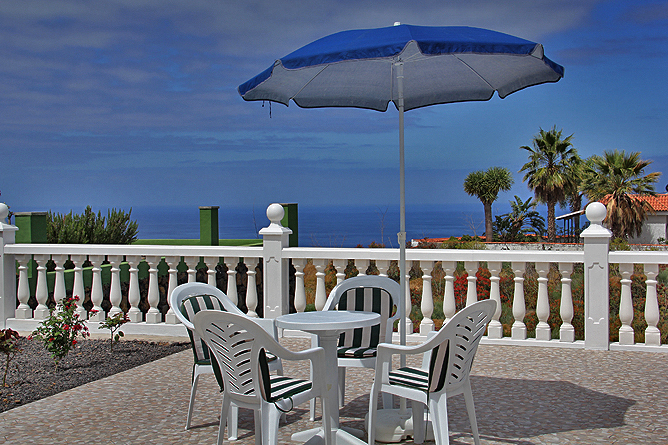 The spacious pool terrace provides a beautiful view of the sea and the mountains. 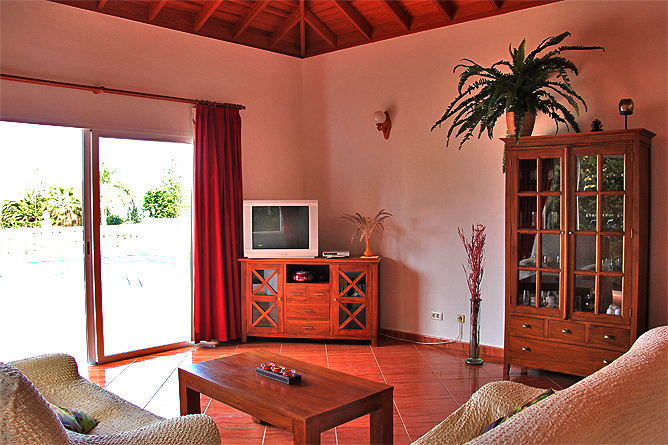 Situated in a moderate climate zone Villa Bella features pleasant temperatures and many hours of sunshine year-round. 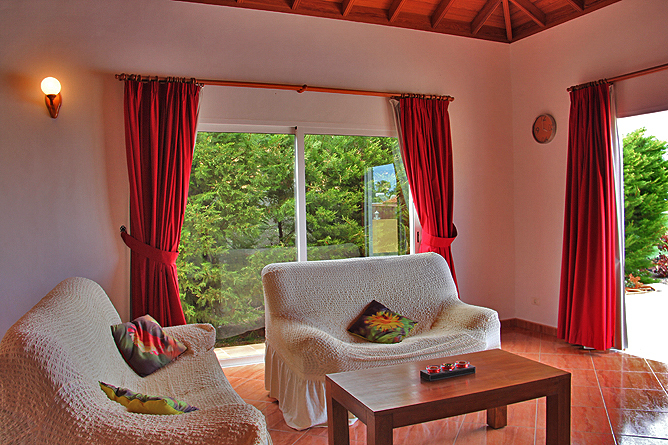 The Holiday Villa is perfectly suitable for families and couples. 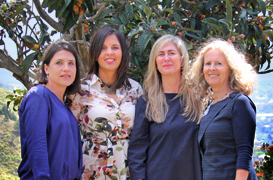 It is located in a small side road in Las Norias de Abajo, in a small residential area between Los Llanos and Puerto Naos, about 2 km behind the village Todoque. 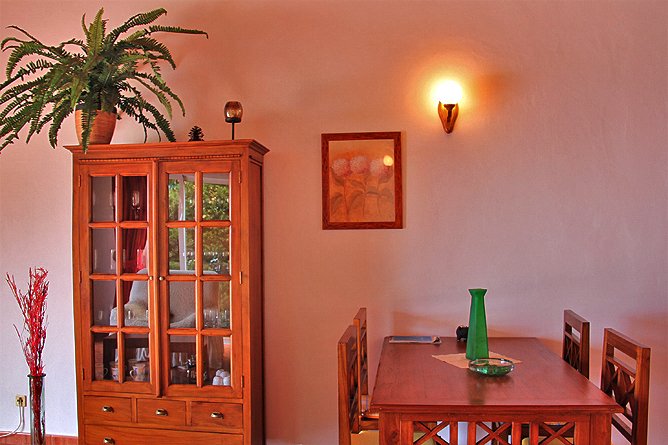 One bedroom is located on the right side of the entrance area. It is a light and friendly room with wooden furniture. 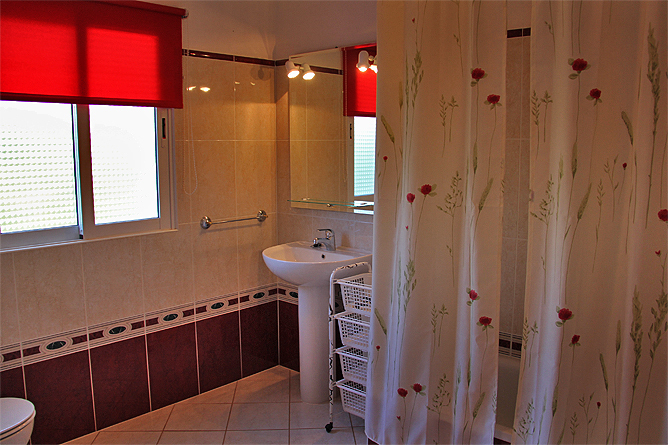 The small bathroom has a shower and a washing machine. There is also a separate guest toilet. 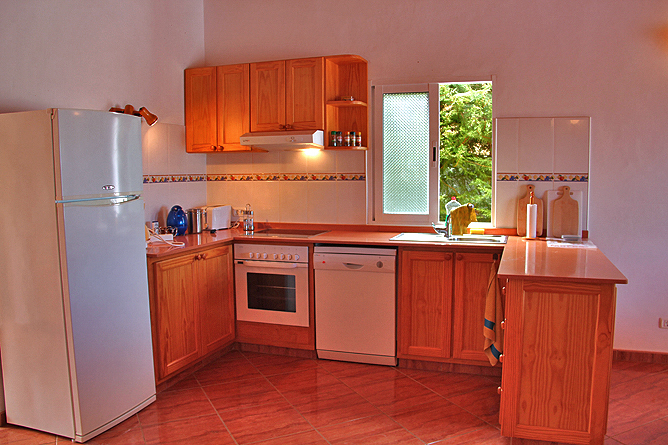 The kitchen is very well equipped with a ceramic hob, an oven, a dish washer, a coffee machine and a fridge-freezer. 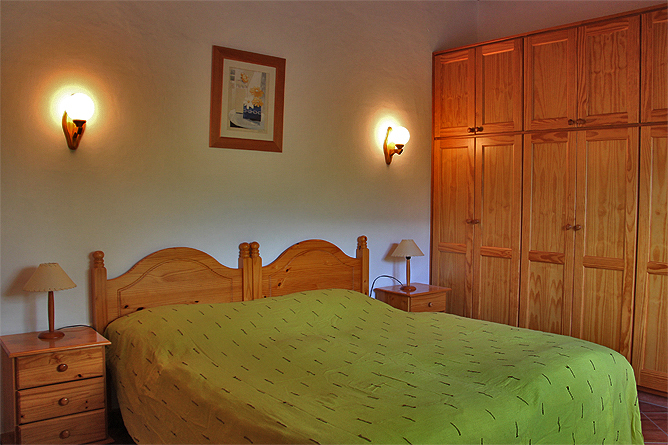 Next to the living area there is the second bedroom, which also features a high Palmerian wooden ceiling. 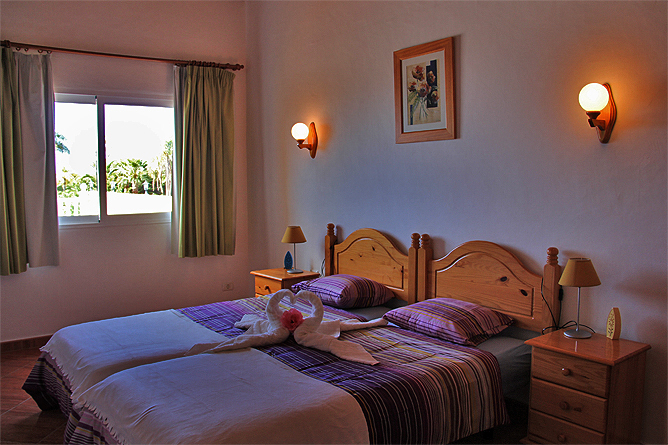 The owner attached great importance to a high level of sleeping comfort and provided latex mattresses. Oposite the bedroom there is a large bathroom with a bathtub, shower, wash hand basin, toilet and bidet. 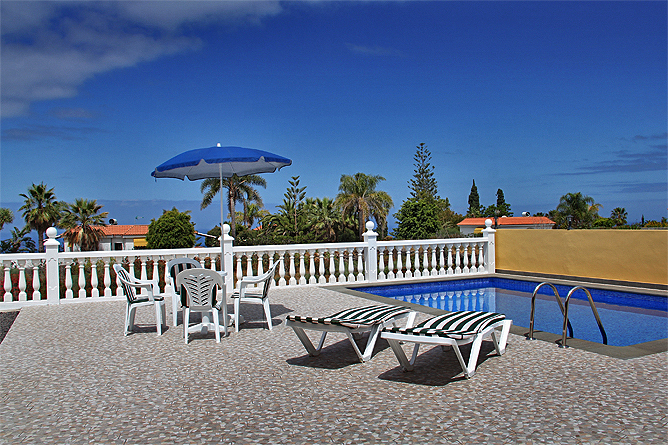 The pool terrace is the centre of the Holiday House. Four loungers with cushions as well as a table with chairs and a sun umbrella are available at the pool area. 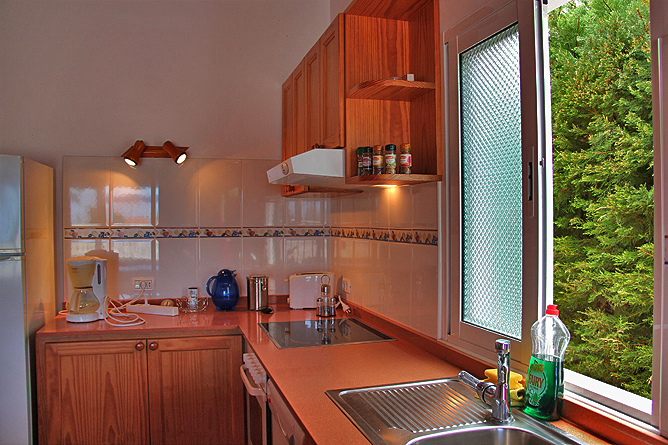 You enjoy a marvellous view of the sea and you are free to take your meals outdoor. 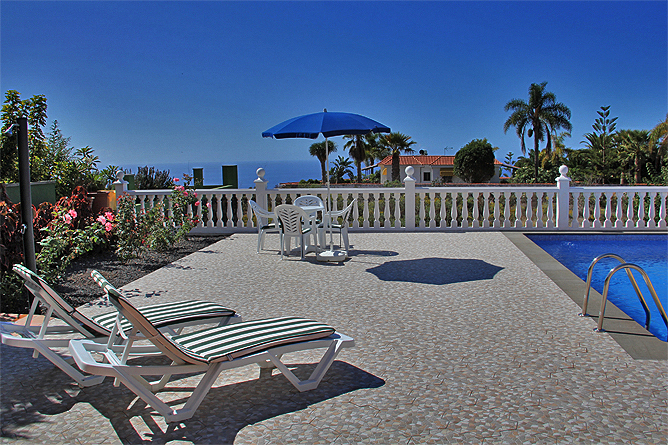 The bathing beach of Puerto Naos is located 5 driving minutes from Villa Bella and the sandy beach of Puerto de Tazacorte 10 minutes. 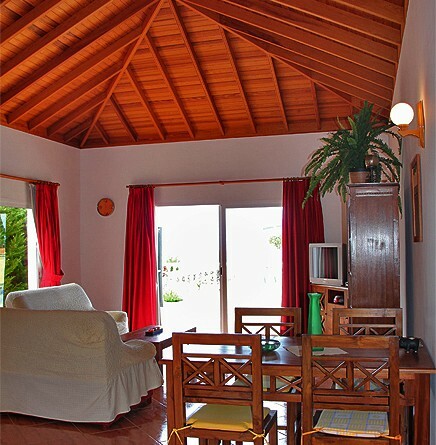 El Remo is no longer a secret tip and is located at the end of the coastal road above Puerto Naos. There you can enjoy delicious fish (we recommend 7 Islas) and watch spectacular sunsets. 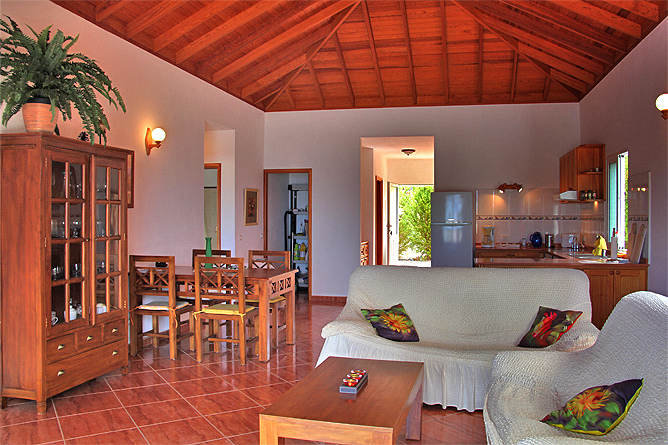 Follow the stairs down to the sea or watch fish while snorkelling in the marine reserve. There are some more restaurants within a short driving distance. Todoque is located about 2 km from the Holiday House. The village offers many shopping facilities, restaurants, bars and a pharmacy. 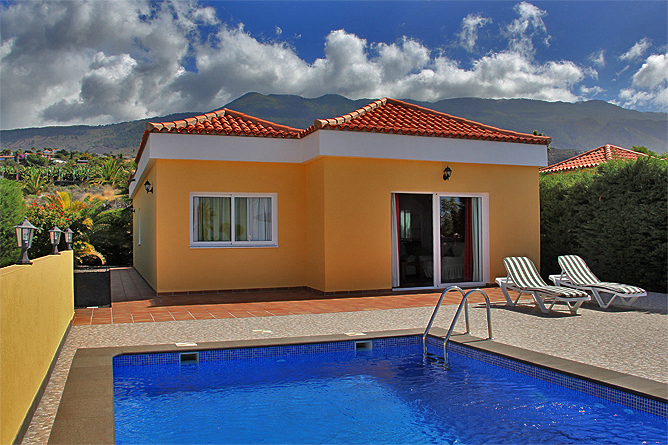 Lovely Holiday Villa with Pool in Central Location.